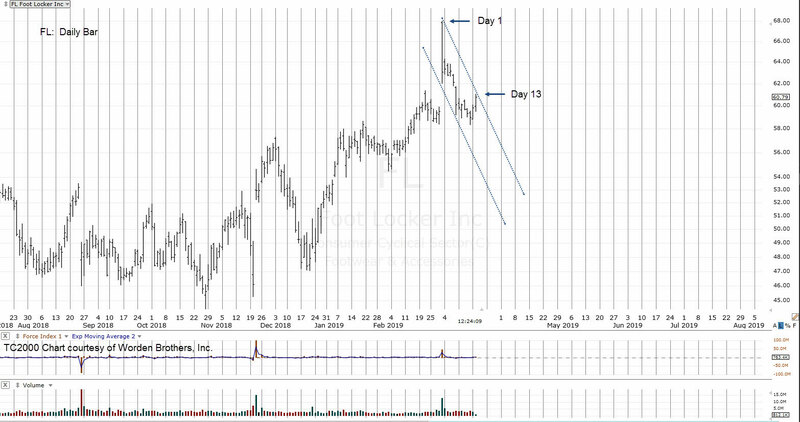 Foot Locker (FL) may be an immediate opportunity to go short. 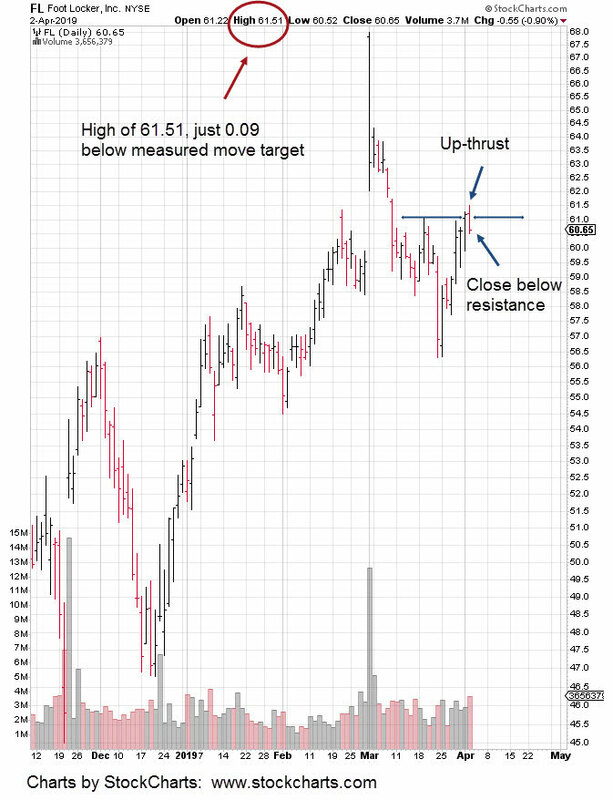 At mid-session, we’re in up-thrust position and the hourly price action projects a move to the 61.60 area. Today is Fibonacci Day 8, from the most recent lows. So, time and price appear to be coming together. A move to the 61.60 area, with a swift reversal (this session or next) will increase the odds that FL is preparing for the next down leg. With a close below the session open and below established resistance, FL up-thrust is confirmed. What happens next is up to the market. However, 61.51 can be considered a stop; risk is low at 0.86, points. Looking at the previous down move, the expectation is for price action to alternate in form. Effectively, what we got with the initial down move will not be (not expected to be) repeated should FL be in its next leg down. Foot Locker remains within a trading channel. 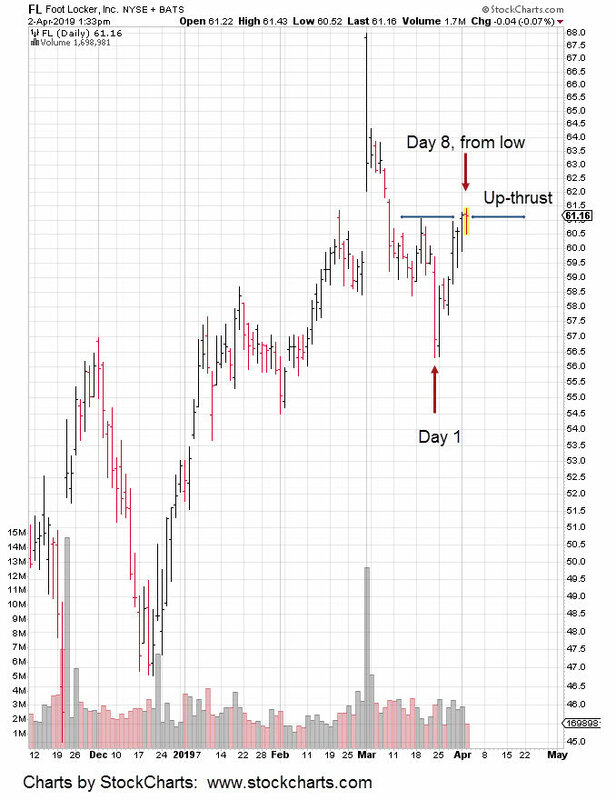 Today's price action marks Fibonacci Day 13, from the 3/1/19, top.